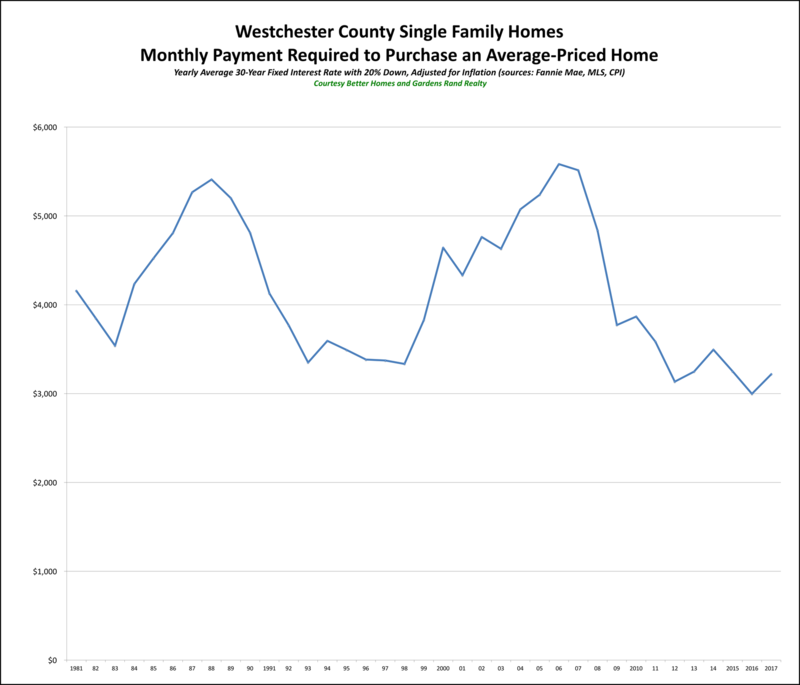 Right now is a really great time to be buying a home in Westchester or the Hudson Valley. 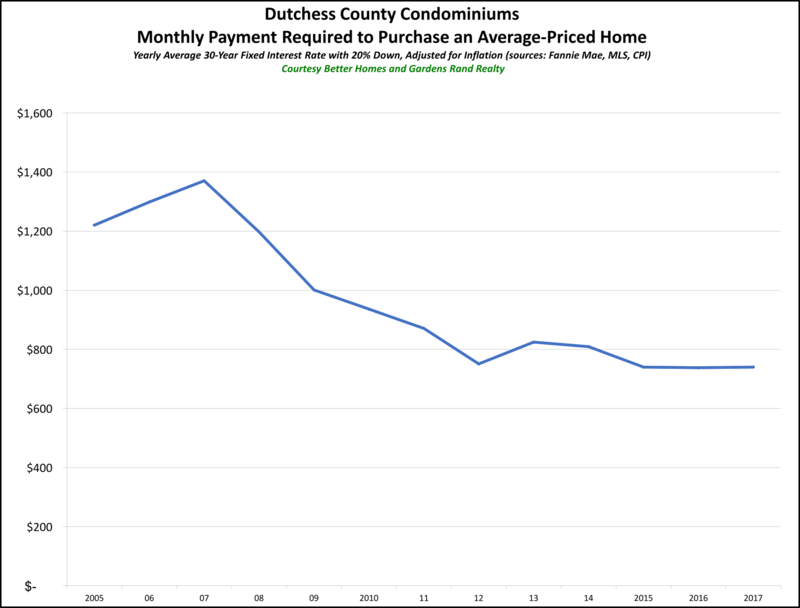 Man, do I hate saying that. 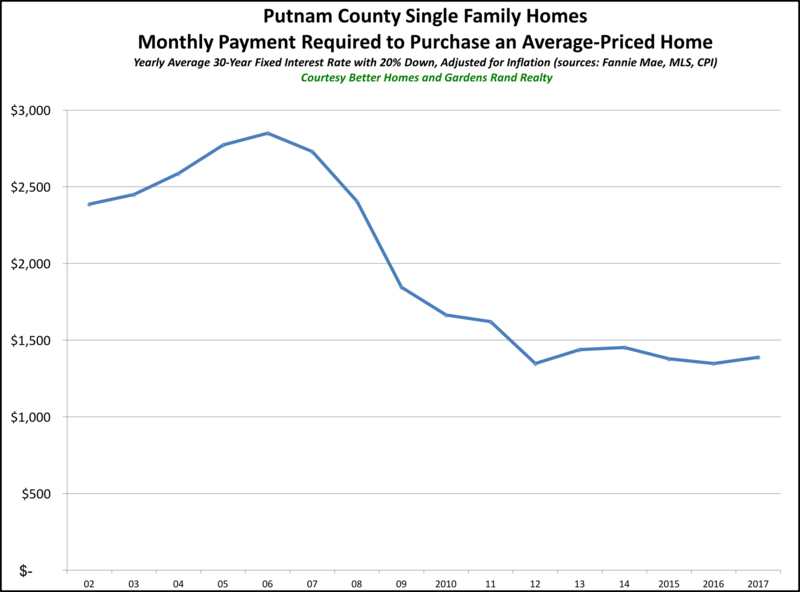 As I’ve explained before, I hate the phrase “great time to buy” for a couple of reasons. 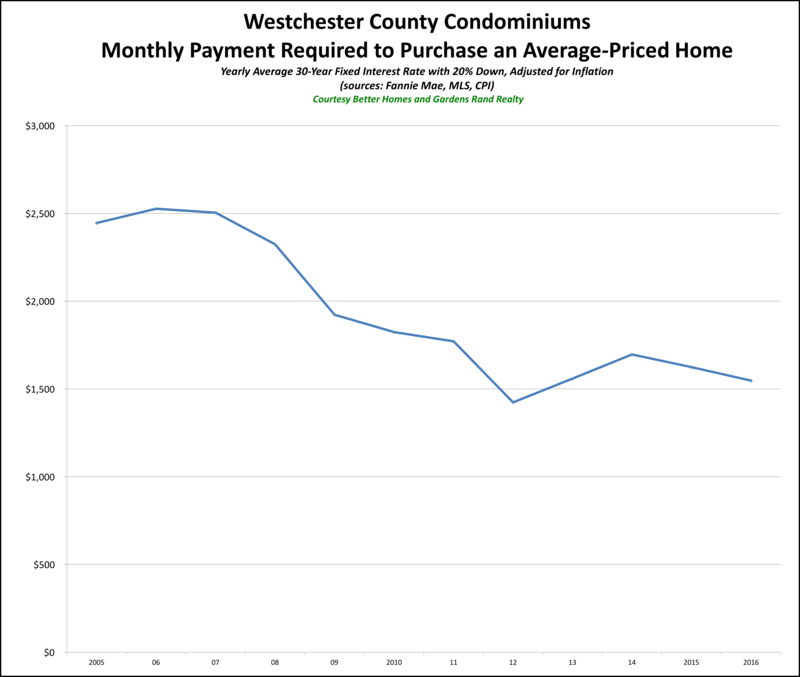 Specifically, I want to make this specific point: the monthly payment you need to buy an inflation-adjusted average priced home in Westchester and the Hudson Valley is as low as its been in a generation. 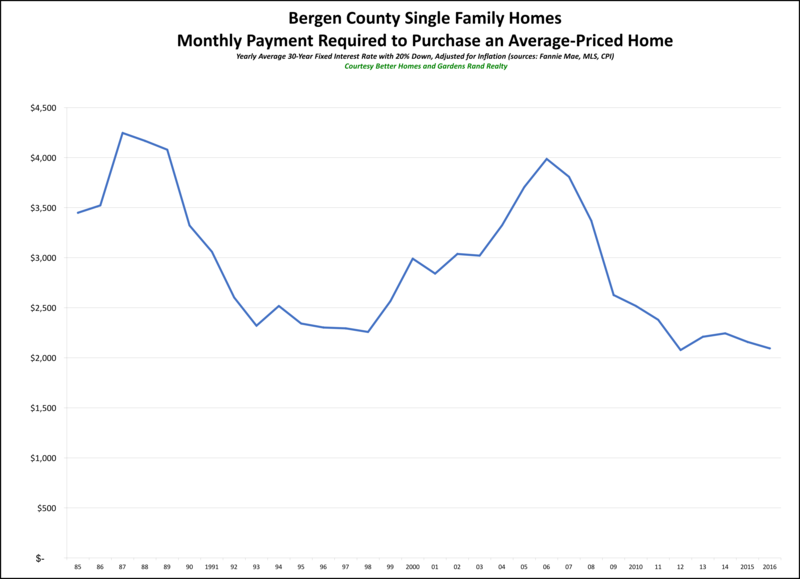 •The average price of a single family home up to the end of 2017 – from the local MLS data. 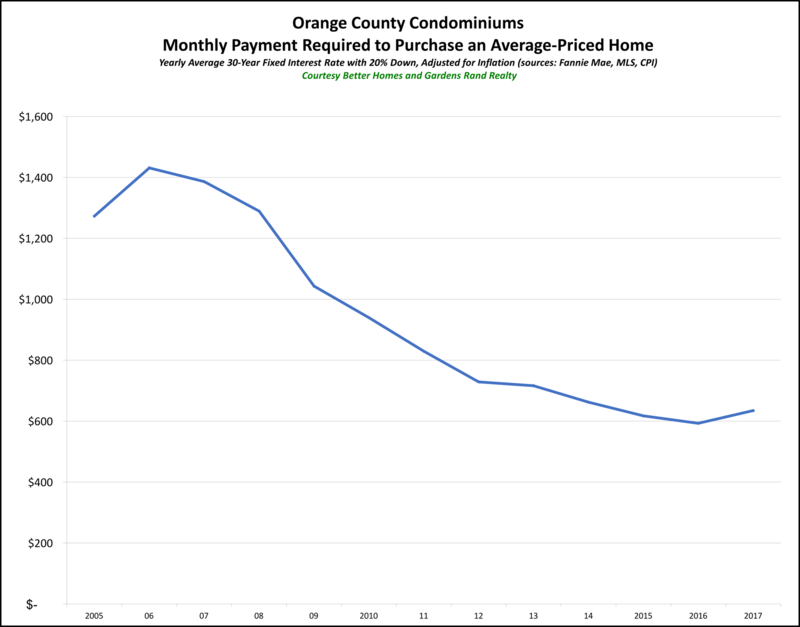 •The average interest rate for a 30-year fixed-rate mortgage for every calendar year up to 2017 – from Freddie Mac. 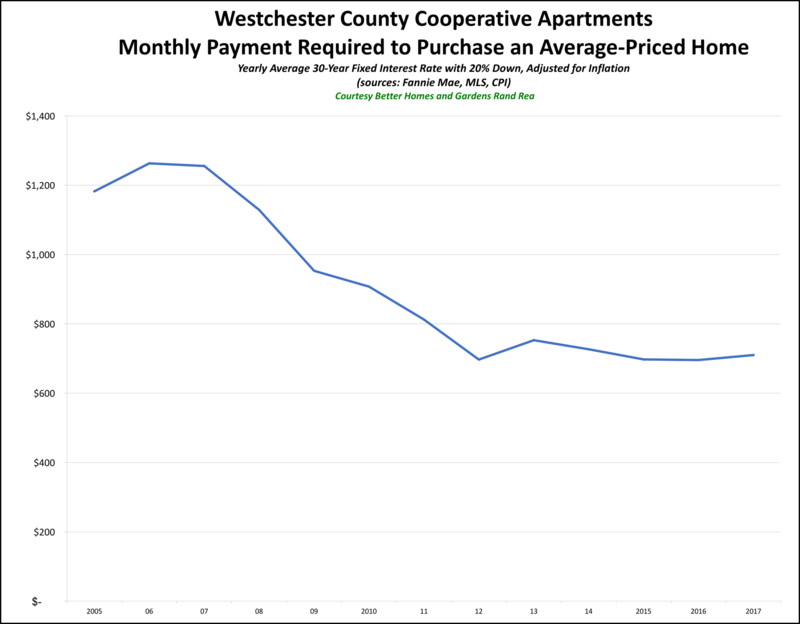 •The prevailing inflation rate for every calendar year up to 2017– from the US Department of Labor. 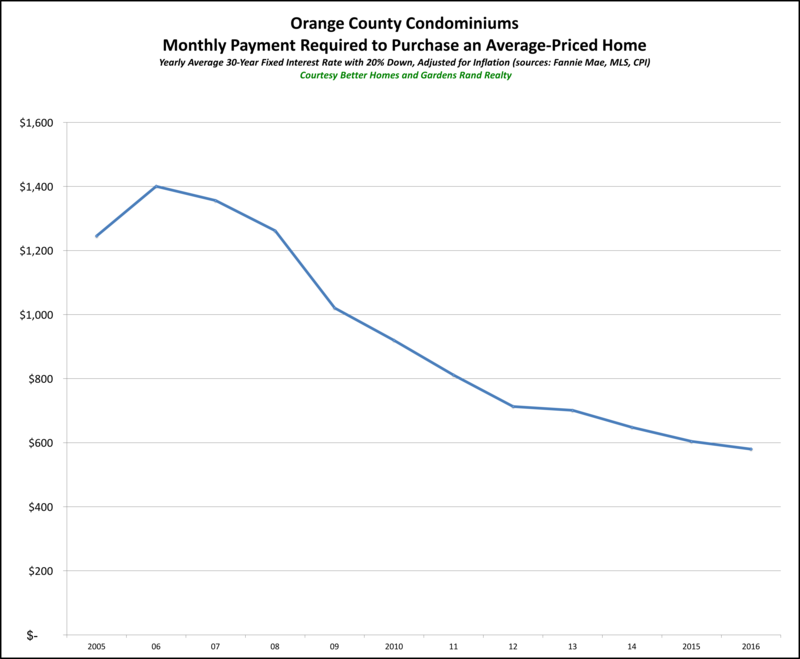 You can see the results on the graph. 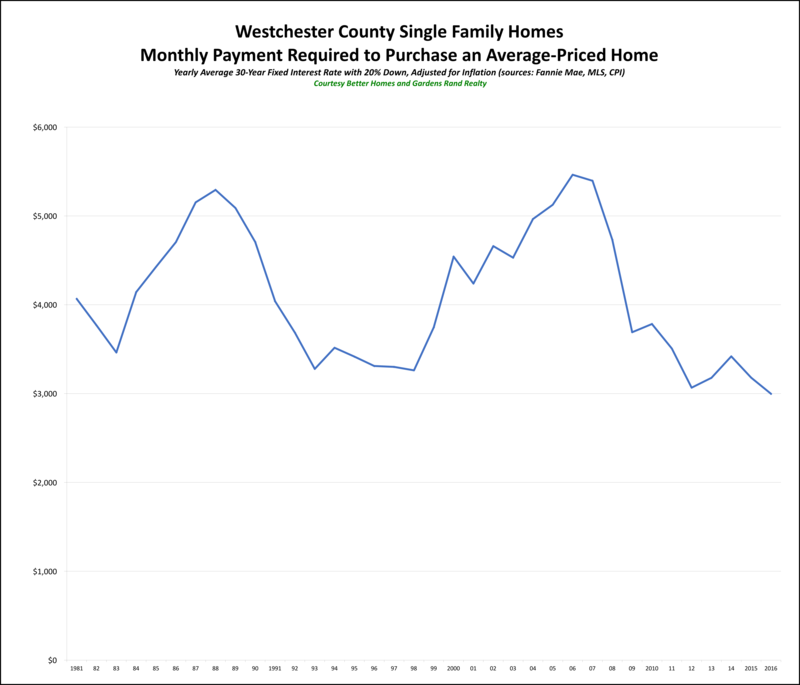 The monthly payment you have to make to purchase the average-priced home in Westchester is just about as low as it’s been in years. 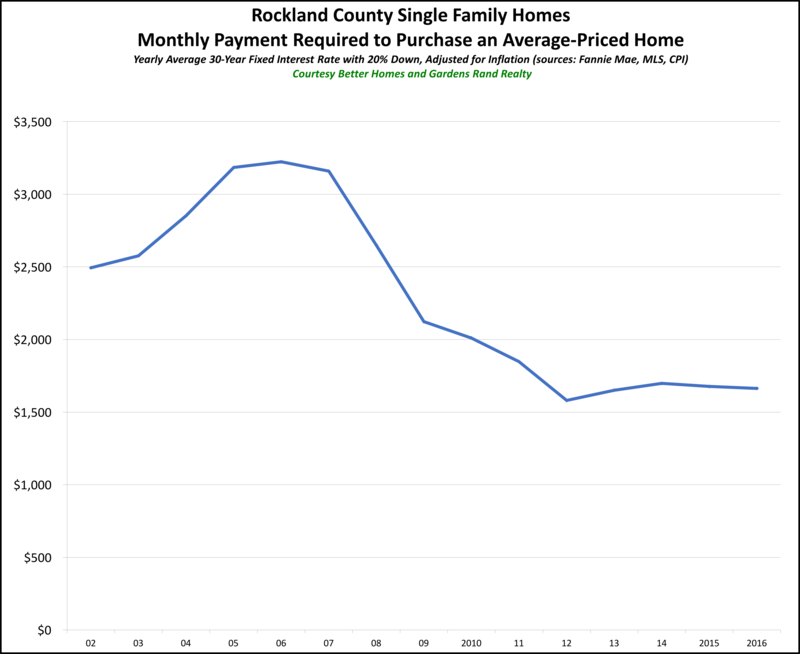 We saw the slightest uptick from 2012-2014, partially because of a slight increase in pricing and a slow inflating of interest rates. 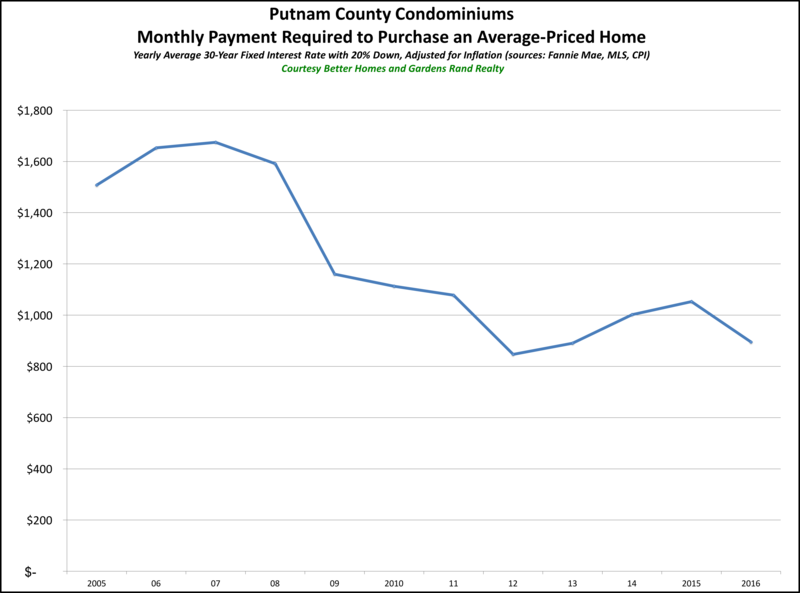 But the payment came down again over the past two years, with rates falling and prices stalling. 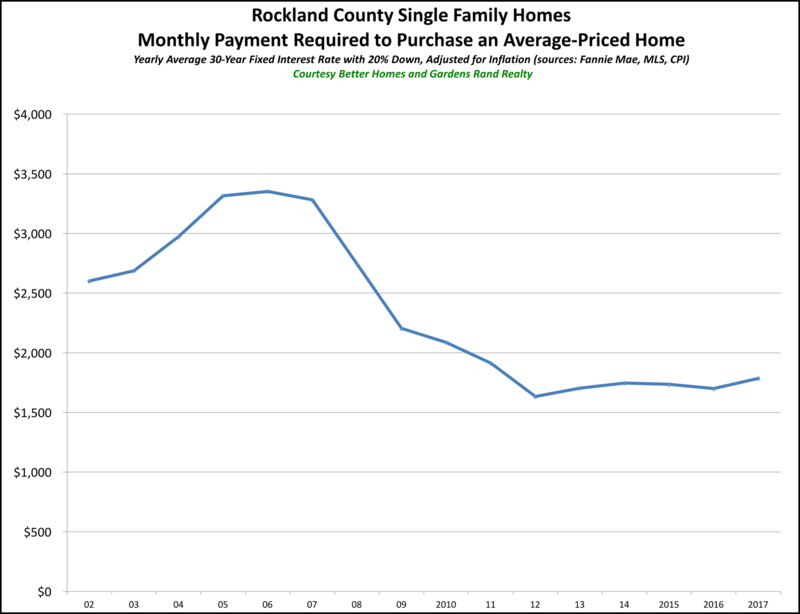 Rockland County. 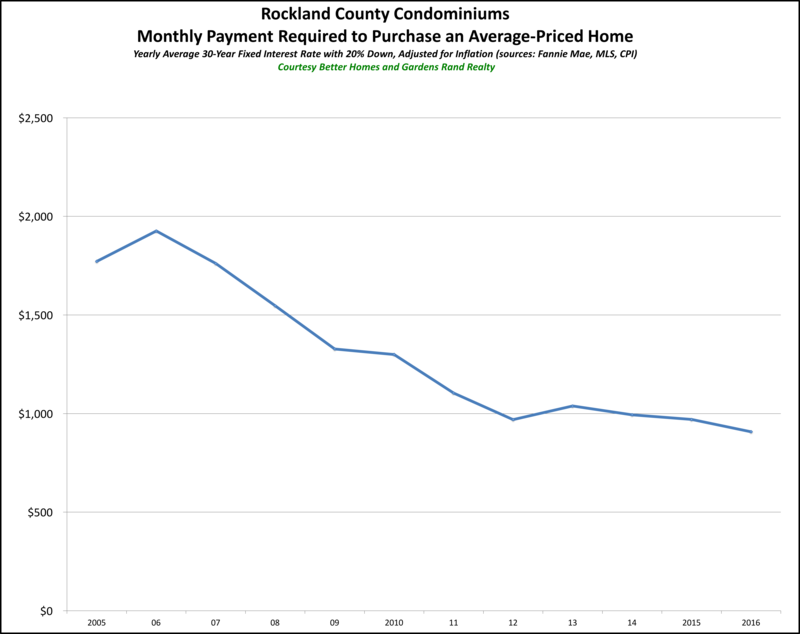 In Rockland, we have data going back to 2002, over 14 years of data. 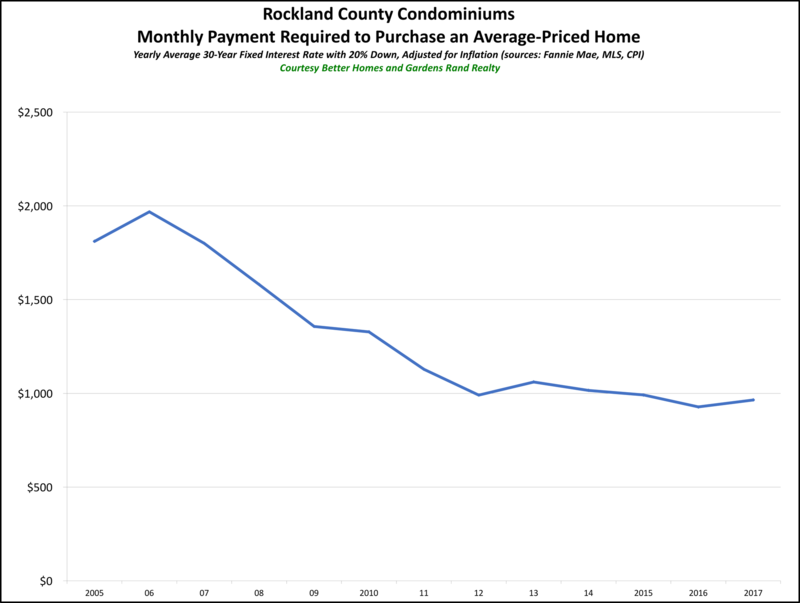 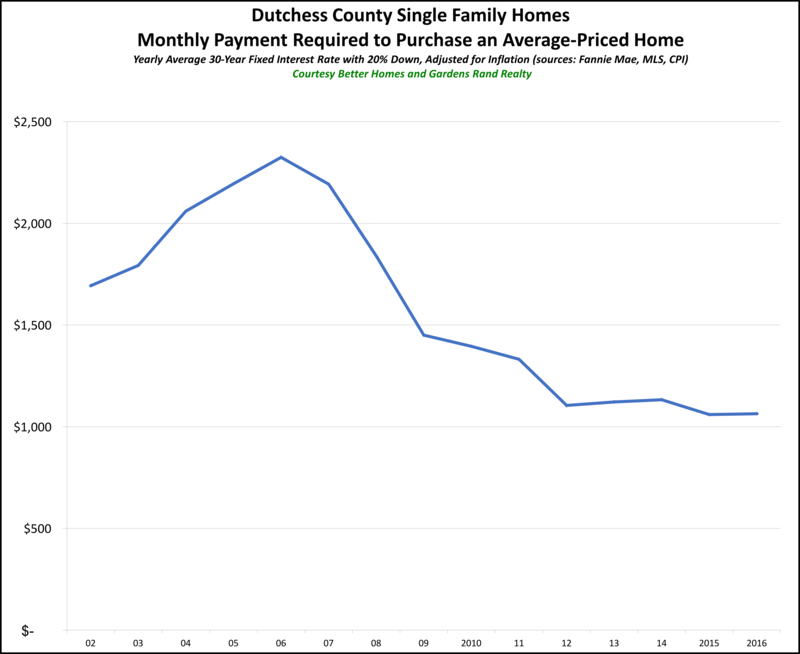 Again, you can see that even with a slight rise in the past few years, the monthly payment you have to make to buy the average-priced home in Rockland is lower right now than it’s been since at least 2002, and probably for quite a bit of time before that. 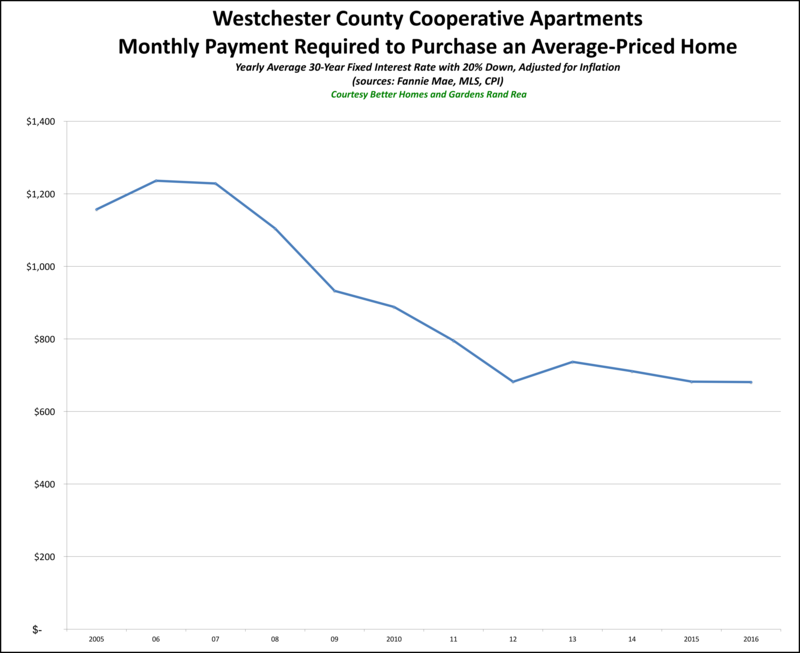 You can see that except for Westchester and Putnam condos, which have seen some pricing changes in the past two years, the monthly payments are lower than any time since 2005. 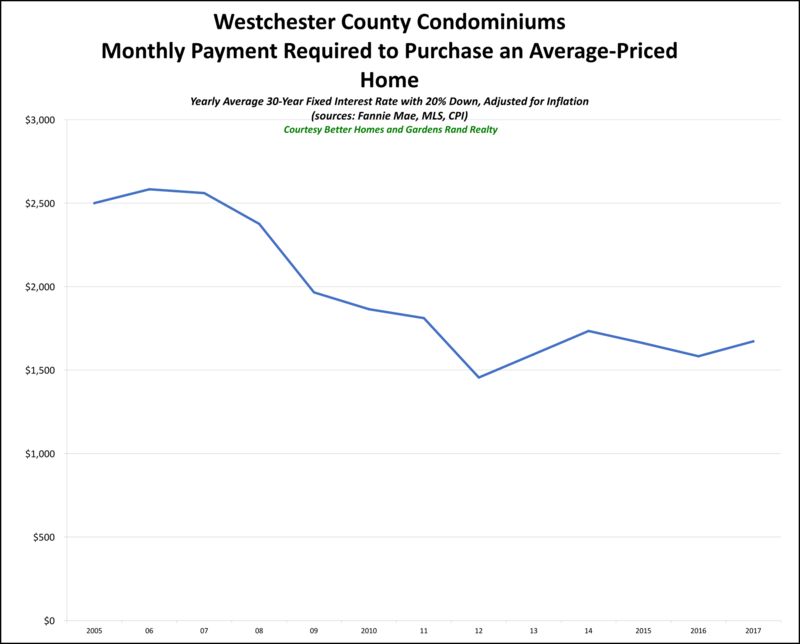 And even in Westchester and Putnam, they’re lower now than at any time in the last decade, just a little higher than the last two years. 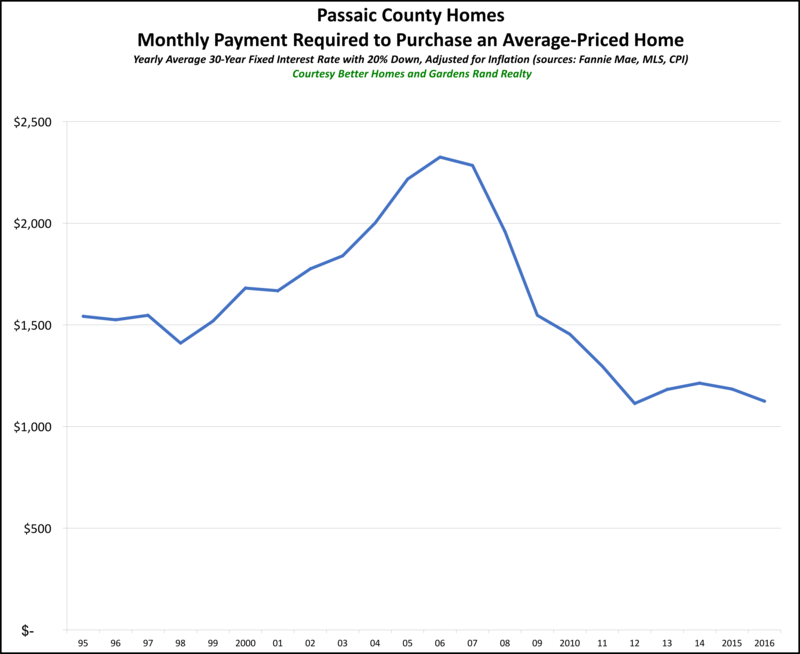 We wrote this up last year, and predicted that 2016 would be the last time we’d be able to say it. 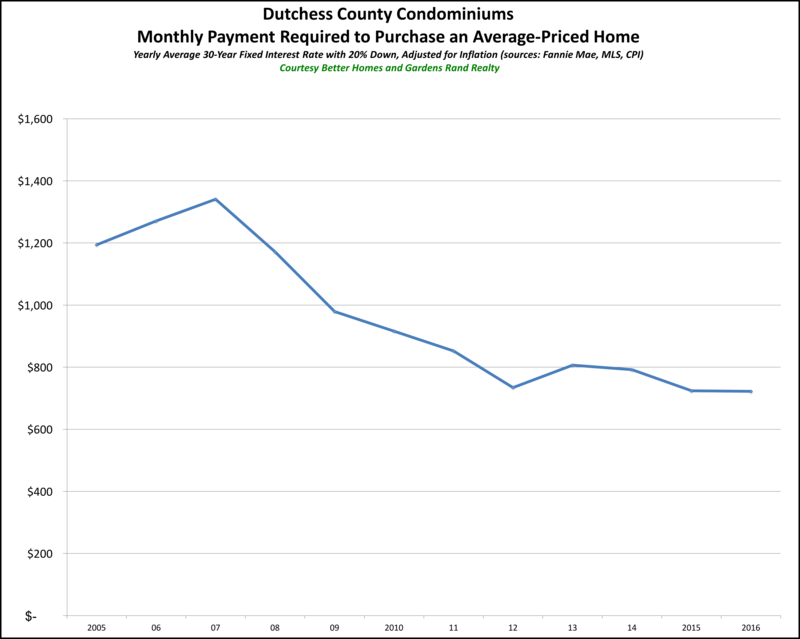 And we were mostly correct, since prices throughout the region went up a bit, and rates started to creep up. 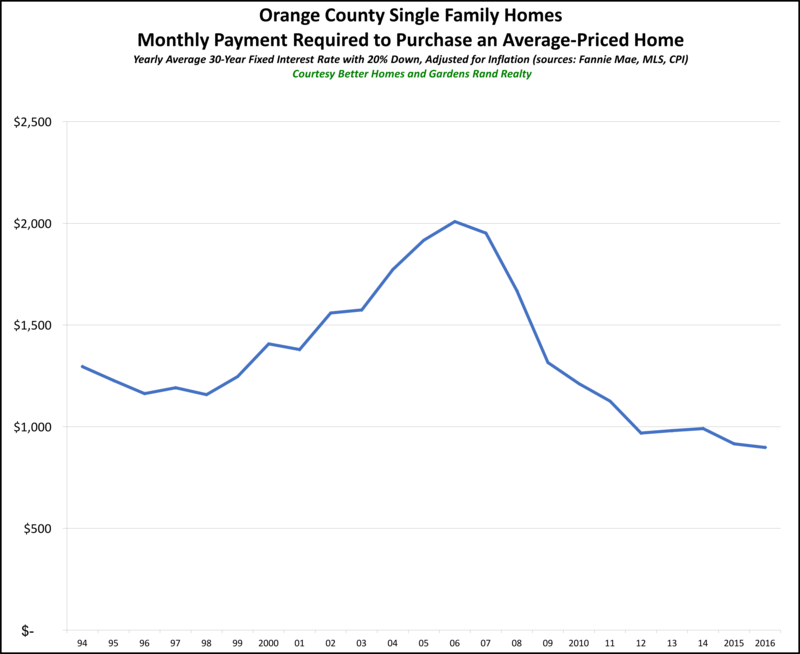 So it’s not quite right to say that 2018 is the best year to buy a home in a generation, since 2917 and 2916might have been better. 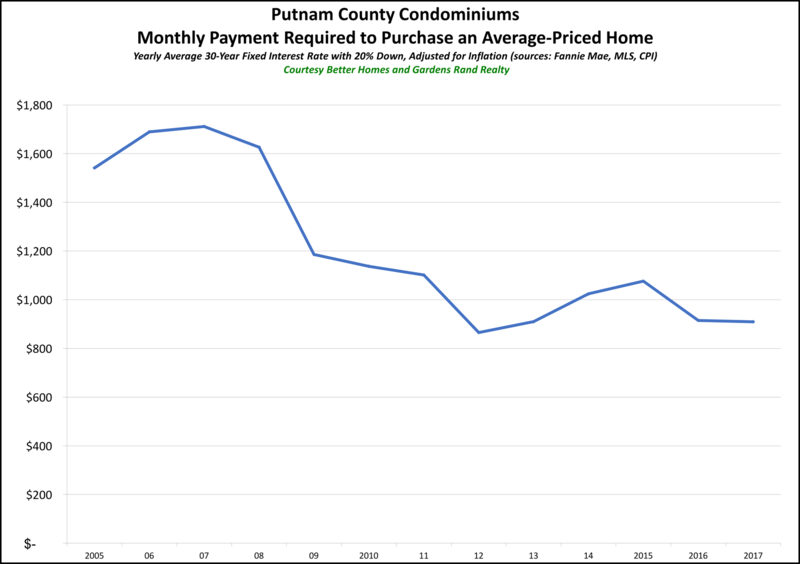 But you have to otice the trend — the real monthly payment you have to make to buy the average-priced home in our region is lower than it’s been in years. 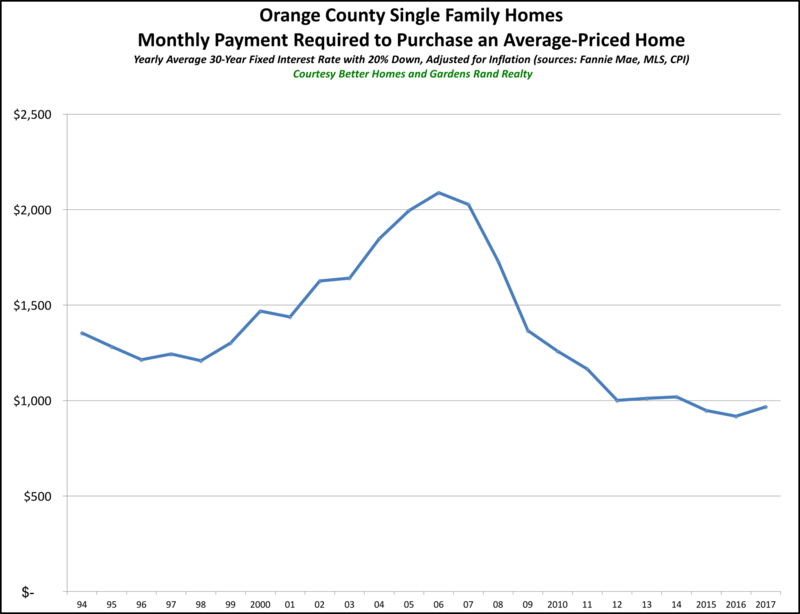 We wrote this up last year, and predicted that 2015 would be the last time we’d be able to say it. 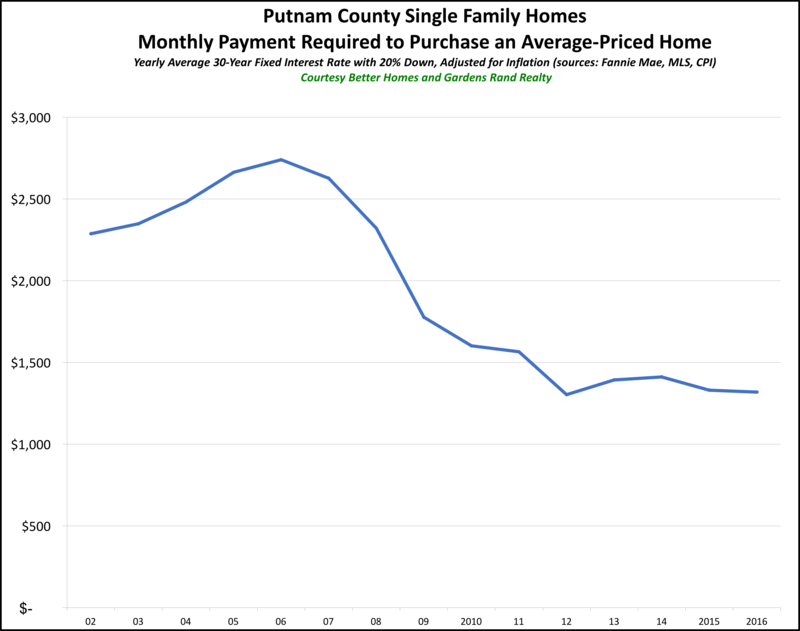 Surprisingly, though, prices stayed flat for 2016 while rates stayed down, so we have yet another year where the real monthly payment you have to make to buy the average-priced home in our region is lower than it’s been in years.